Shingles is one of the areas where essential oils work like a charm. The most amazing testimonials are available on the success of this blend. The treatment of Shingles (Herpes zoster) with essential oils is as successful as that of Herpes simplex. 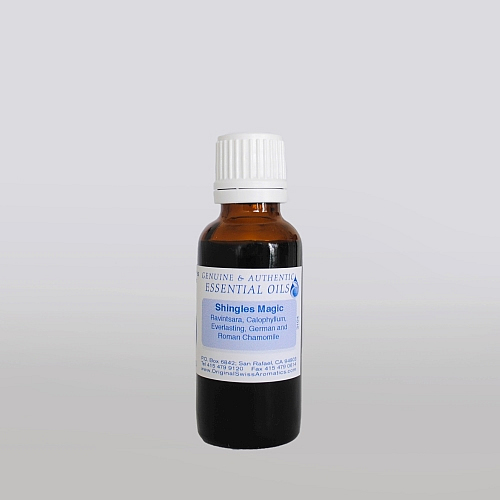 A notable difference is, however, that because of the pain and aggravation often involved with an outbreak of Shingles, the essential oils utilized need to be totally non-irritant and gentle on the skin. Which oils are used: A combination of equal parts of Ravintsara (Cinnamomum camphora) essential oil and Foraha (Calophyllum inophyllum) fatty oil has become the standard treatment option for outbreaks of Shingles. Especially with elderly patients this treatment, more often than not, offers stunning relief from the excruciating pain and even more so offers renewed quality of life to patients living with the continuous threat of yet another painful outbreak. Experience has it that once a patient is able to successfully control an outbreak of the frequency and severity of subsequent outbreaks are reduced drastically. 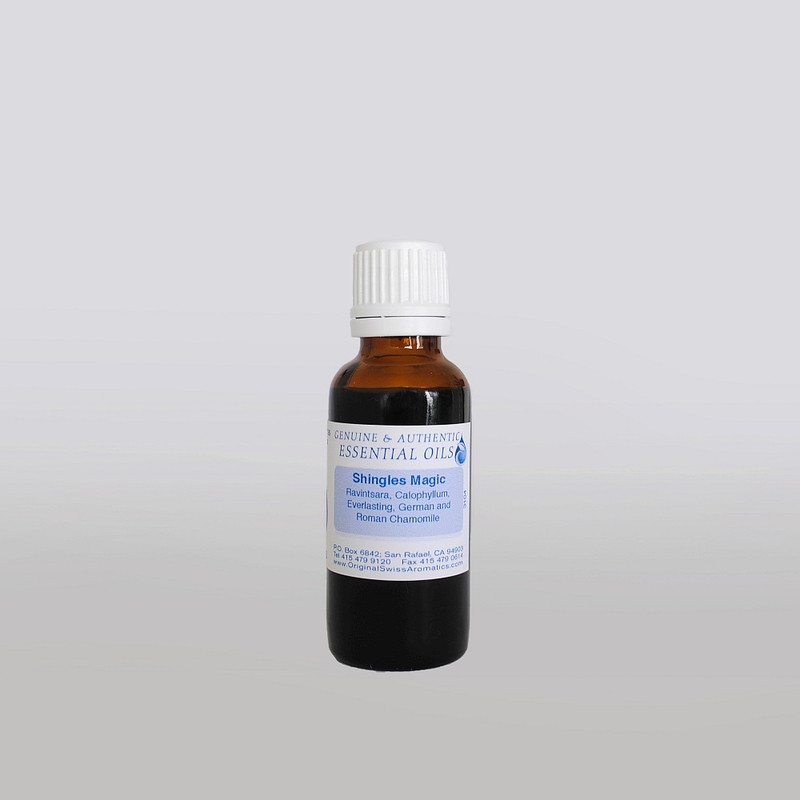 Ravintsara is the anti-viral agent within this blend and Calophyllum inophyllum has the unusual, but the highly valuable quality of stimulating phagocytosis. How the oil is used: The oil blend is applied directly on to the lesions. This can be done with a Q-tip or simply by dabbing a few drops onto the lesion with the finger. This is repeated frequently at the beginning of the treatment. (Doing this 4 or 5 times on the first day of treatment is fine). These statements have not been evaluated by the Food and Drug Administration. Ingredients: Ravintsara, Calophyllum, Everlasting, and German and Roman Chamomile.